Henan province in central China has a number of archaelogical sites that have remnants of ancient capital cities. These are most notably located in the plain of the Yellow River not far from the modern cities of Luoyang (such as a Xia dynasty site at Erlitou),5 Anyang (a Shang dynasty site such as Yinxu and the Warring States site called Ye),6 Kaifeng (Warring States and later),7 and Shangqiu (Shang dynasty and later).8 Some musical instruments have been found in these archaeological sites,9 but they predate any historical remnants connected to guqin (see origins). Later Luoyang10 and Kaifeng11 themselves served as important capital cities. And from around the third century CE, both cities have had many direct associations with guqin, as have other parts of Henan such as the Songshan mountain range12 and the reputed Bamboo Grove of the Seven Sages sometimes said to have been near Shanyang in northern Henan. Many famous early qin players came from or lived in Henan,13 and some of the most famous early qin melody titles are associated with this region. On the other hand, although one of the most important early qin handbooks was apparently compiled there in the 16th century, Fengxuan Xuanpin (1539), it does not have any specific focus on Henan, rather being a collection of old tablatures from all over. Like the Shen Qi Mi Pu (1425), the earliest surviving major collection, it was compiled by a Ming dynasty prince, in this case Zhu Houjiao, Prince of the Hui region, southeast of Songshan. Two other handbooks of potential significance to this program are Sizhaitang Qinpu (1620; includes Oulu Wang Ji), compiled by Madame Zhong, the widow of a prince in Runong; and Guyin Zhengzong (1634; includes a Pingsha Luo Yan), compiled by Zhu Changfang, whose princedom based in or near Weihui straddled the border region between Henan and Shanxi. It is not until the mid 18th century that we have a qin handbook said specifically to refer to a local Henan qin style; the style/school was called Zhongzhou Pai (Zhongzhou Qin School). There soon followed several mid-Qing handbooks that also identified their melodies as being from this tradition. However, these specific versions of the melodies did not survive to the present as part of an active repertoire. Now there is an effort under way to try to reclaim this name; to my knowledge this does not include trying to reconstruct the way melodies were played in these Zhongzhou handbooks. There are also ancient documents pointing to a place called Guangling located in Henan province. Popular ever since it was included in a handbook published by the wife of a prince in Henan; source unknown. Perhaps the most popular of all guqin since being published by a prince in Henan; source unknown. A qin program featuring Henan could focus on melodies I play with themes connected to Henan, or it could also have melodies claiming a Henan style of play (e.g., 中州派 Zhongzhou School; these latter would have to be played by someone else. "Handbook of Qin and Sword"; earliest known book of the Zhongzhou School. All that survives seems to be an incomplete draft copy with only 11 of the original 23 melodies (ToC XVIII/299); it has one new title: 桃李園 Tao Li Yuan (XVIII/309). This handbook, which has 12 pieces all with pre-existing titles seems, like previous, to be considered as a handbook of the Zhongzhou School apparently started by 李郊 Li Jiao of 溵州 Yinzhou. Sometimes there is mention of Wang Shan and the Zhongzhou School, but he was from Shaanxi and the connection is not yet clear. It has one melody, attributed to 陳子卬 Chen Zi'ang of Guangzhou; I do not know of anyone making a connection between this and Zhongzhou as Henan. There may be other handbooks to consider as well, but I have not seen such arguments. As for the latter four handbooks listed above, they introduce only one new melody title, 桃李園 Tao Li Yuan. 76.179 中州 (literally Middle Region) says it can refer to all of China or specifically to Henan, since Henan is considered to be in the middle of China. 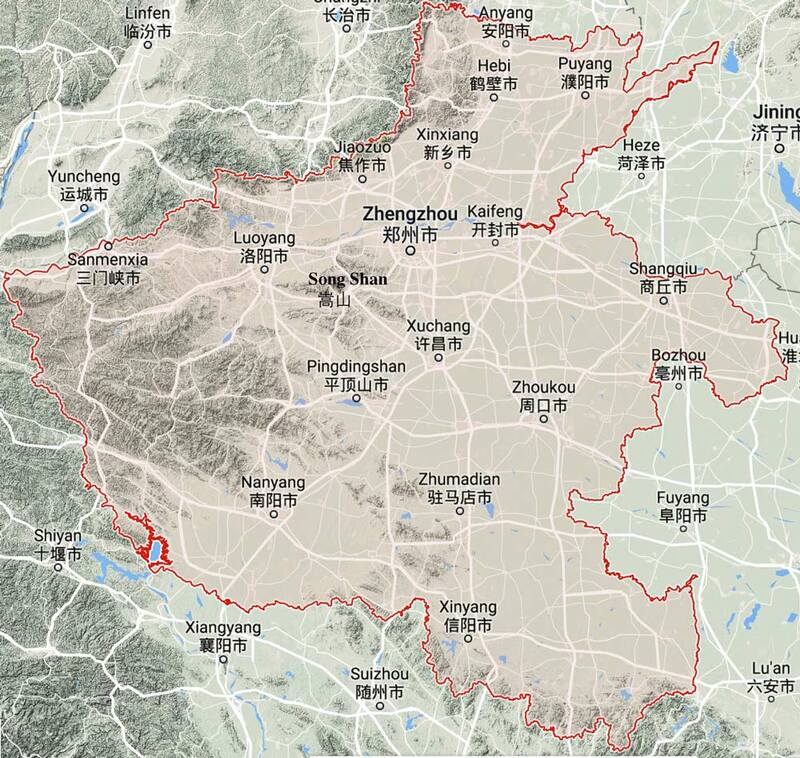 There is also a region of Henan called Zhongzhou (新安 Xin An, near Loyang?). This qin style, also called Zhongzhou Orthodox Style (中州正派 Zhongzhou Zheng Pai), is thus associated particularly with Henan; it was apparently started n the 18th century by 李郊 Li Jiao of 溵州 Yinzhou. Several handbooks around that time are said to document its style. Details of the Zhongzhou style and of its later players is unclear, but it is said that the last known player of this style died mid-20th century, and Henan was not included in Zha Fuxi's guqin work of the 1950s. On the other hand, since the revival of interest in the qin in the present century efforts have been made to revive a school of that name. In 2007 there was a Zhongzhou School Dapu Conference in Zhengzhou that featured reconstructions of old melodies. As part of this effort it seems that claims are made that that pretty much any qin player associated with the Henan region belonged to the Zhongzhou School, giving it a long history. I do not know what evidence there is of pre-Qing dynasty use of this term in connection with the qin, or of people specifically reviving versions of melodies as played in the Qing dynasty handbooks associated with Zhongzhou school of that time. (As far as I can tell, the revival is led by players including 丁紀園 Ding Jiyuan (1942-; listed as Shu school), 韓廷瑤 Han Tingyao and 松大年 Song Danian. For Yinxu see Wikipedia. The Wiki article for Ye (also called 40570.9 鄴城 Yecheng, etc.) 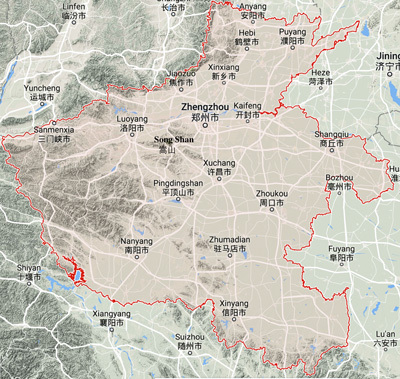 has it between modern Anyang and the city of 臨漳 Linzhang to the north in Hebei. Largely a Warring States and Han period site, Ye was once a magnificent city, as described by Zuo Si in his 魏都賦 Wei Capital Rhapsody (See Nienhauser, Wen Xuan I, p. 429ff). 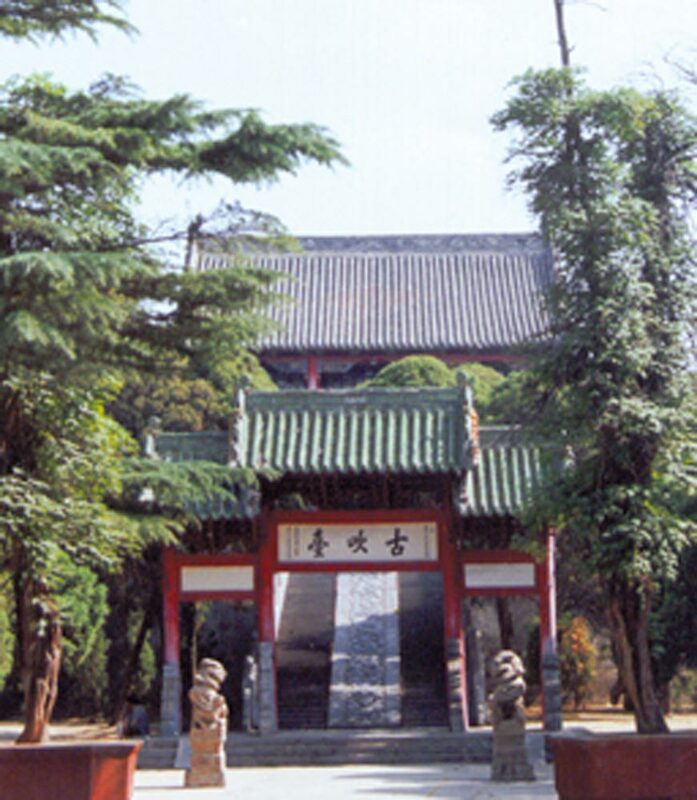 Said to have been founded by Duke Huan of Qi around the time of Confucius, at the end of the Han dynasty Ye was first the headquarters of Yuan Shao (see Liu Bei), then from 210 to 220 the Wei administrative center (see Cao Cao). It was perhaps most famous for its 三台 three terraces built in 210 (金鳳臺、銅雀臺、冰井臺). However, the city eventually went into decline. For a later mention see Wang Jing'ao. There are archaeological sites in this area (literally, "Shang Mound") as well as a new created "ancient city" said to evoke the last Shang capital city. See also Archaeological Research in Shangqiu. There is no surviving music from before the 6th century CE, but the sound of some of these instruments can be heard in performances by 華夏古樂 the Huaxia Orchestra of the Henan Museum in Zhengzhou. Various old names for Luoyang include 東都 Dongdu, 西京 Xijing,司州 Sizhou, 河南府 Henan Fu. It was a capital city of several kingdoms during the Zhou dynasty as well the imperial capital during most of the Eastern Han. For shorter periods later it was again a capital city. For more on its specific connections to guqin search this site for "Luoyang". Kaifeng, old names of which include 浚儀 Xunyi, 汴州 Bianzhou, 東京 Dongjing and 汴京 Bianjing, was a capital city for most of the Northern Song dynasty as well as for brief periods at other times. 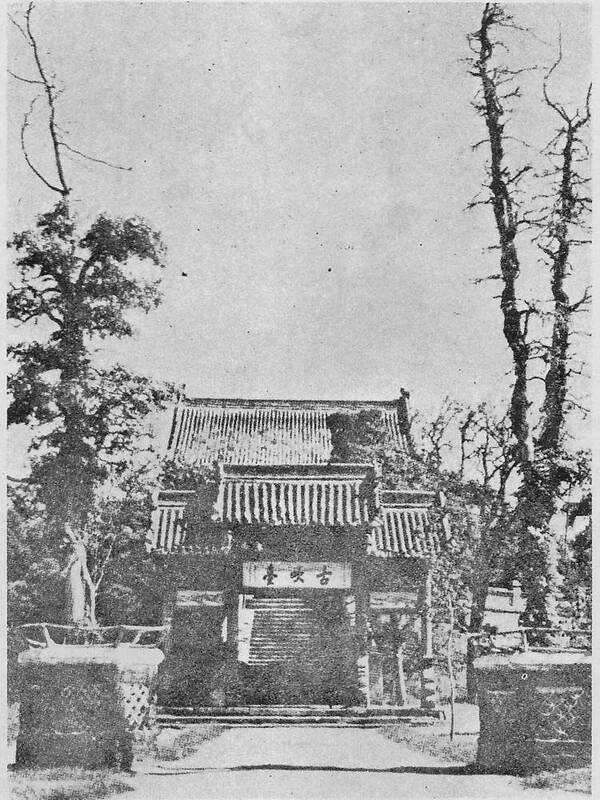 During these times it was a significant center for guqin activities. Some idea of this can be found by searching this site for "Henan". As for the temple in the old photo at right (since rebuilt), it is appropriate here because the person it honors, Shi Kuang, was a music master who is said to have visited Kaifeng during the Warring States period. His connection to Kaifeng is mentioned further here, while his connection to guqin is recounted in this entry as well as through such melodies as Nan Feng Ge and He Ming Jiu Gao. He is even said to have created a "moon-shaped guqin". This mountain range, associated with several of the qin melodies mentioned on this page, runs east to west south of Luoyang. The most famous are Cai Yong, whose Qin Cao is the earliest known listing of qin melodies, and Xi Kang, whose Rhapsody on the Qin is the first known depiction of the qin in its modern form. Other pre-Tang people said to have been qin players from Henan included Cai Wenji, Chu Yanhui, Du Kui, Ruan Ji, Liu Kun, Liu Yuan, Sun Deng, Xie Kun, Yuan Zhun, Yuan Zizhi, Zhang Ji, Zhao Yuan and Zheng Shuzu. Regarding the possible connection of the place called Guangling to Henan see further.